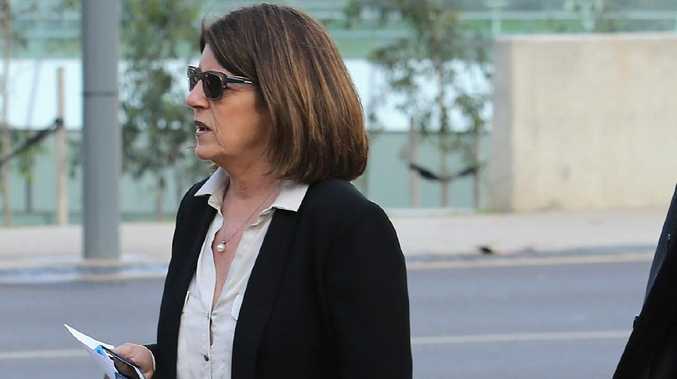 REVERED sports journalist Caroline Wilson has used the Andrew Olle lecture to shine a spotlight on the sexism that still exists in sport and sports media. Wilson, who only last year retired from her position as chief football reporter at The Age, suggested issues for women started at the top when it came to the AFL. "The AFL boasts two women commissioners and hopefully a third by the end of the year, which will mean the females in the boardroom of the biggest sport in this country no longer represent cultural change and not a conspiracy," Wilson said on Thursday night. Wilson, who not only broke but smashed the glass ceiling for female sports journalists, said she was initially hired as "an experiment". And while it took her time to gain access to players in change rooms and sit with her peers at industry events - Wilson was always seated with the wives and girlfriends - she was pivotal in paving the way for the next generation of females in the industry. Yet Wilson confessed she hadn't always embraced her title as a trailblazer and that she often grew frustrated with aspiring journalists. "I have to admit at times in my own career I've become a bit impatient with young aspiring journos and commentators and felt like telling them to toughen up," Wilson said. "Breaking stories and asking difficult questions and debunking myths are all tasks punctuated by discomfort. And one of the great assets of any workplace is a sense of humour. "Taking a position, too, can be fraught with challenge - on occasion the unpalatable choice has been to resign in protest, take a vow of dignified silence or slug it out." Still, Wilson noted the double standards that still pervaded the sporting landscape when it came to the sexes. In 2008 Sam Newman "staple gunned (Wilson's) head shot to a mannequin wearing underwear on The Footy Show", while only two years ago Collingwood president Eddie McGuire joked about drowning Wilson at the Big Freeze at the 'G. But it was an incident involving Lara Bingle in 2010 that for Wilson highlighted the "horrendous double standards" that continued at the AFL. "(Bingle) was repeatedly accused of being a predator by certain male commentators whose hypocrisy I can only say was breathtaking," Wilson said. Despite this, Wilson suggested there were times where not being a member of the boys' club was "an asset". "Women do often see things differently," Wilson said. "We think about sport differently and we write about it differently. "We have changed, diversified and improved the way it is covered. "And where football is concerned maybe we even love it differently. But we do love it."